Heading to "The North, The South, The East, and The West"
God is Faithful. We found "Destiny" at Lazydays RV in Tampa, Florida; we had been looking at motorhomes for quite some time; actually over a period of years. We had taken a trip to Orlando, Florida to attend a leadership conference, after the conference was over, we decided to take a short drive (in our rental car), from Orlando, down to Tampa to visit Lazydays. Before leaving home on that trip, I had determined that I wanted to visit Lazydays because it was so close to where we were. We had previously visited the Lazydays dealership in Tucson, Arizona, but that trip didn't materialize. Actually, we had put a deposit down, and signed the paperwork on a Monaco Windsor when we were there, but they were not able to make the numbers work for us, so we passed on that deal and got our deposit back. I don't believe that that was a mistake; God had a plan. Destiny was calling, and we had to go to Tampa to find the rig that God had waiting for us. "Destiny" is a 2004 Monaco Dynasty. I had been looking at the Dynasty for quite some time, but I believe the timing just wasn't right. We had made the decision to purchase a diesel pusher this time around; we previously owned 2 gas powered motorhomes. There were a few features that we really wanted in our next rig; the first was that we wanted a desk space, because we knew that we would need it for managing the ministry, and work endeavors that we took on along the way. We also wanted plenty of storage space underneath, along with an Aqua Hot system. 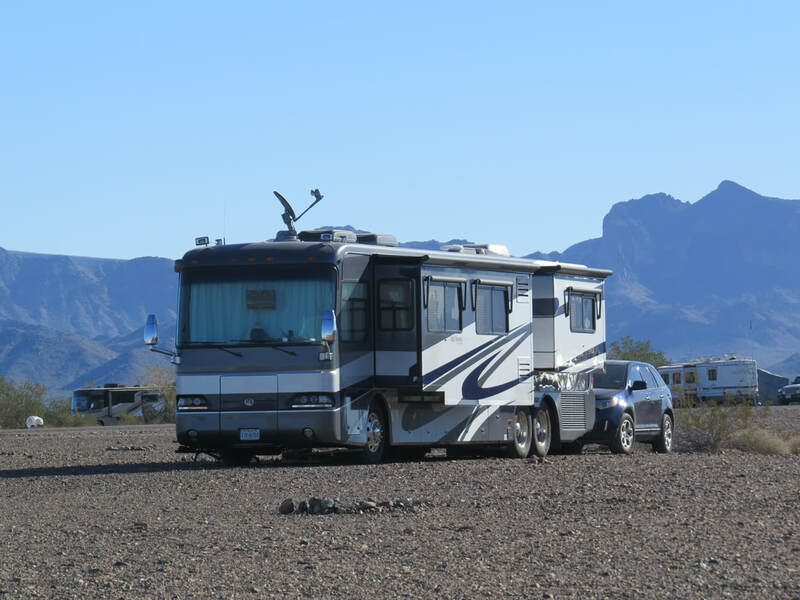 This feature gives you unlimited hot water, which is a luxury when traveling by RV. That also gave us heated ceramic tile floors. I also wanted the one-piece panoramic windshield; I wanted that for a couple of reasons. The first reason is a little shallow, but I didn't want my videos obstructed by the windshield frame and windshield wipers right in the middle of our view, which brings me to the second reason. The one-piece windshield is a constant reminder for me to have a clear "Vision" for fulfilling the call of God on our lives. It was also a nice bonus that the coach is partially blue, since that is our favorite color. The rig is a tremendous blessing for us, but it is only a tool to be used in fulfilling the call to evangelism. It allows us to freely travel across the country without the need for accommodations to be made for us along the way. With campground ministry being our primary focus, we are ready to live in the community that God has called us to.